News Release 24th Jan 2019: BBX Australia now has a Master Licensee and State Manager for Canberra/ACT. Introducing Camtu Pham! “I started my career with Department of Defence in 1994 and worked in Canberra for 2 years. In 2010, while leading my digital marketing business, CleverLINK, we won a contract with AusIndustry which was aimed at helping SMEs in Canberra to embrace technology, so the capital city has always been a special place to me. It will be a pleasure to serve BBX’s existing members as well as new members in Canberra and the surrounding areas in the years to come”. said Camtu Pham. “I am excited about the opportunity with BBX because it offers what the market needed. What I have now started is business matchmaking - helping to connect buyers to sellers. What it means is, any business that need more trade – BBX guarantee to supply them more customers.” added Camtu. There will be a formal launch on 19th Feb 2019 at EQ Café to celebrate the special occasion and to create an opportunity for business owners to network and listen to a presentation on the topic “7 Clever Ways to Accelerate Your Business Growth”. Small business owners are invited to join this special launch breakfast. Regardless of its size or number of years in business, every company has some form of "unsold time", "slow-moving stock" or "unsold hotel rooms" or "empty seats at restaurants.” BBX can help to change this and help business to turn zero income into BBX credits. These trade credits can be used to improve the cash flow of the business or improve the lifestyle of the proprietors. BBX digital currency is registered with the ATO and corporations are required to treat it as cash for GST and accounting purposes. Why not? It is 2019 – time to accept digital currency and leverage the strength of a well-established fin tech company like BBX. Not to mentioned that BBX support members with interest-free lines of credit and guaranteed new customers. Joining up is easy and you can do it online www.bbxworld.com. or contact BBX Licensee camtupham@bbxworld.com.au or +61 416253837 or head office on 02 9499 1100. What is the GOAL of BBX Canberra / ACT? Our goal is to work with over 100 + businesses within 3 years and create a strong a business network to support local enterprises and communities. We are also aiming to support local sport clubs, non-profit organisations and assist with their fundraising, and getting the equipment and support that they need. “I am excited to welcome Camtu Pham on board as our licensee and community manager for the BBX Canberra/ACT. Camtu will bring energy and leadership to further expand our network and give local businesses better BBX experience. 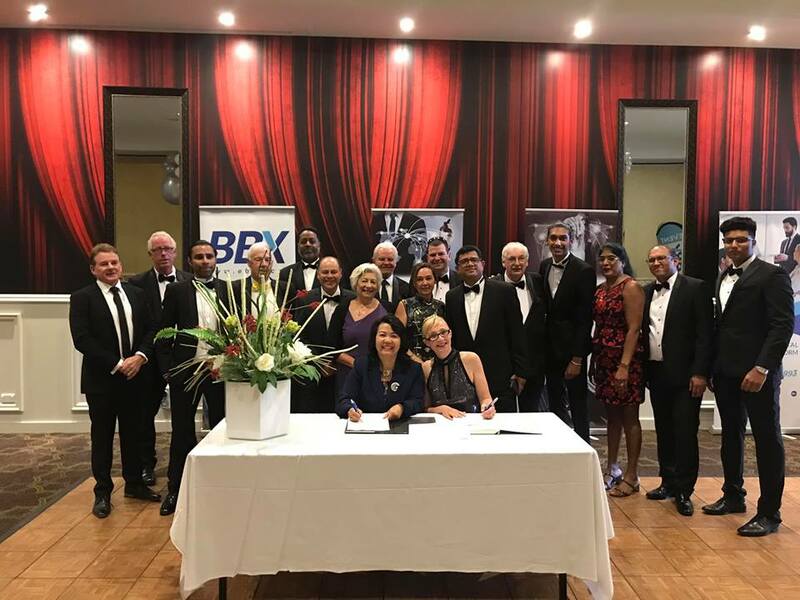 Camtu will be a true asset to the BBX NSW South Coast Community” Said Carolin MacDonald, BBX Australia CEO. Camtu is a former university lecturer at the University of Wollongong in e-Business and management. Camtu has a Master of Commerce (specialising in Information System), Bachelor of Computing Science and a Diploma in Marketing. She was named Sydney Business Woman of Year in 2005. Camtu is an international speaker and the author of Aim High Fly Fast: How to Create a Wonderful World for Yourself and Others.